This paper looks to contribute to the recent literature on institutional comparative analyses of Asian economies; it makes three distinct contributions. First, the authors investigate the institutional diversity of Asian economies by using multivariate methods, and show five different groups within Asian economies that can be distinguished from advanced economies. Second, based on firm-level data, they determine whether institutional environments have a favorable effect on the innovation activities of firms; concurrently, and discuss whether or not joining a global supply chain induces firms to engage in innovation activities. 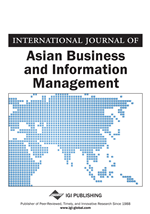 Their analytical results show that institutional characteristics have a positive effect on firms’ decisions to engage in those activities, and that institutional configurations provide the foundation for a global supply chain built in East Asian economies. Third, the authors emphasize that the current institutional diversity can persist, given the positive interaction between the institutional diversity of Asian economies and the innovation activities of Asian firms. The past few decades have seen an increasing amount of debate concerning economic integration within East Asia1, with the backdrop of rapidly growing economies in Asia2. The economic integration in Asia has, it seems, progressed in terms of the evolution of the international division of labor amongst such countries as China, Japan, South Korea, and other ASEAN countries, along with increases in foreign direct investment (FDI) and international production networks among these countries and with other Asian economies. This de facto integration has been led by massive and rapid capital inflows from transnational corporations (TNCs). However, Asian economies have not institutionalized regional integration; they have quite different historical and development paths on one hand, and on the other, the countries in this region have competed actively with each other to gain competitive advantages. In discussing the relevance and feasibility of economic integration, we need to understand the differences among these economies and their interdependence or complementarity with each other. Hence, we must clarify the institutional diversity of Asian economies and investigate how that diversity has evolved and will continue to evolve. Since the 1990s, there have been an increased number of institutional comparative studies on advanced capitalism. For example, studies that take the Régulation approach or the Varieties of Capitalism approach (Amable, 2003; Boyer, 2004; Hall & Soskice, 2001) make the point that an economic system is not entirely characterized by a particular institutional domain; rather, it comprises a bundle of different institutions. Those studies have also indicated that institutions can be complementary, under certain conditions (Aoki, 2001; Hall & Soskice, 2001). On the other hand, empirical analyses have identified the diversity of capitalism through the use of statistical methods and quantified data (Amable, 2003; Hall & Gingerich, 2004; Hall & Soskice, 2001; Pryor, 2005). Despite the significant contributions of these studies to the diversity of capitalist theory, they bear several limitations when applied to Asian economies. First, most of them assume that Asian economies are homogeneous. Amable (2003) analyzes 21 OECD countries in which two Asian countries, Japan and South Korea, are included. One of the characteristics of his analysis is that it shows that the classification of capitalism cannot always be binary—as earlier suggested by Hall and Soskice (2001)—but can rather be expanded to five types. Japan and South Korea are categorized into a group described as representing “Asian capitalism,” in comparison to advanced forms of capitalism3. Although it is possible to understand a specificity of “Asian capitalism” compared to occidental advanced forms of capitalism, we find it problematic to restrict the breadth of Asian economies to these two countries. Second, in the era of globalization, individual firms face much higher levels of competition than previously. They must fight for survival under such conditions, and so differentiation among them in terms of behavior and/or performance is expected to increase. Although precedent theories such as that of Hall and Soskice (2001) are based on the idea that institutional environments constrain patterns of how firms behave, they single-mindedly focus on the institutional configurations in which individual firms are embedded, rather than on firm behavior itself. In other words, they seem not to be concerned with how individual firms respond to their institutional environments. Given that Asian firms that operate in similar institutional environments often exhibit different behaviors, we need to reinvestigate the linkage between institutions and firms.